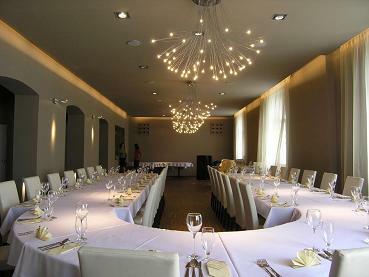 This hall is suittable to bringing conferences, skills, weddings, paties, meetings of schoolfellows and other happening. The hall is accessible without bariers. In the hall and hotel is prohibit smoking. Smok is possible only on reserve places. Opening time is individual after agreement. Near is a lot of parking places, is possible use the car-park which belongs to hotel.